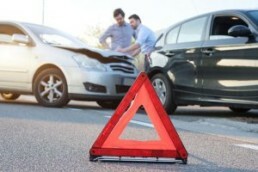 Call the at fault auto insurance – This first step is very important as it accomplishes two very important steps in starting your claims process. First, it helps establish a claim, and you receiving a claim number from the at-fault insurance company. You will also be assigned to an adjustor which will manage your claim, and you should be given a direct phone number for any future communication regarding the claim. They will also help arrange for an estimate of the damage to your car. Second, the at-fault insurance company will want to know if there are any injured parties and the nature of the injuries. It is best recommended to let them know that you are seeking a consult and an exam from a doctor. Auto collision injuries are unique and sometimes are not fully expressed until much later than expected, so it is important to just let them know you are seeking help. Do not discuss your injuries, your purpose is to get a claim number and arrange for an estimate for your car. Seek a qualified auto injury doctor – General family practice doctors are usually not the correct type of doctor to seek. This is like going to a podiatrist for a wrist injury, auto injury doctors are sub-specialists. Auto injury specialist chiropractors are a great choice as they often times specialize in auto collision injury treatment and management. These chiropractors are usually networked with other auto injury specialists, such as orthopedists, radiologists, neurologists, and such. At Denver Chiropractic, LLC our team is qualified to handle simple whiplash to much more severe injuries. Call your auto insurance – If you are like most people, you don’t want to get your auto insurance involved, since it was someone else’s fault. This is understandable as nobody wants to pay higher premiums due to someone’s negligence. There are two very important parts of your auto insurance that is important to understand. First, there is a benefit called Medpay that is hopefully on your insurance. It is not a mandatory part of your Colorado policy, but by default it is on your policy, unless you specifically signed that you don’t want the benefit. Medpay is used for medical expenses and can drastically help with the financial aspect of your situation. Second, if the at-fault is uninsured or under-insured, you can make a UM/UIM claim on your policy. This part gets a little tricky and you’ll need the legal help of a personal injury firm. Arrange a second estimate – This is important as an estimate from the at-fault is usually much lower than an independent estimate. Low estimates will affect your settlement in a negative manner. Seek legal help – Dealing with injuries, let alone the legal aspects of your situation can be quite confusing. Personal injury attorneys in Denver is the best type of counsel to get. They typically work on a contingency basis and will help guide you through this difficult process. They can inform you of your rights and whether or not it is recommended to retain their services.